As with all Retrotrials.com interviews, this interview is typed up word for word from an audio file. Any editorial is in blue and the interview is in black text. That means you are getting the account direct from the interviewee. That's better and a far more accurate way of obtaining an account than anyone trying to recall what the interviewee said some months later and perhaps putting a spin on it, or attaching a narrative that never existed in the first place. It's because of these guidelines, that the interviews within Retrotrials are accurate and have revealed so much information and challenged widely believed myths about riders and the industry. The interview will be interspersed with photos from Albert's own collection and others I have accumulated. Whilst some of them match the story Albert is telling, not all of them do, so please bear that in mind. I was born in Barcelona and during my childhood and growing into my twenties, I spent half of my time in Barcelona and the other half of my life in Torello. Because my mother, my family and my grandparents are from right there in Torrello, so we were visiting Torello very very often. During the 5 months in the summer, I was in Torello, along with Christmas and Easter and all weekends. I spent as much of my time up there as possible. I really loved it up at that place. Down here in Barcelona was the real residence of the family, but we loved it up there in the mountains and spent a lot of time there. We have a local house up there inside of Torello town and yes that was my parents house. I didn't go to school up in that area as all of my schooling was done down here in Barcelona. How did your interest in motorcycling develop? It all started in my early years when I was 13 or 14. I was playing hockey a great deal, when my cousin who was 16 years old introduced me to trials. I liked it so I jumped into the sport immediately. 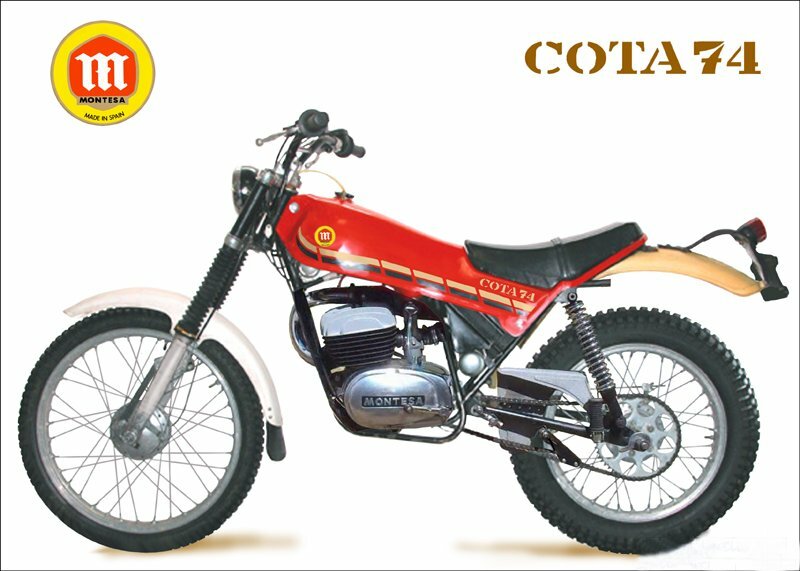 My first bike was a Montesa Cota 74, but this was not from Paxau’s shop, this was from another motorcycle shop in Vic. 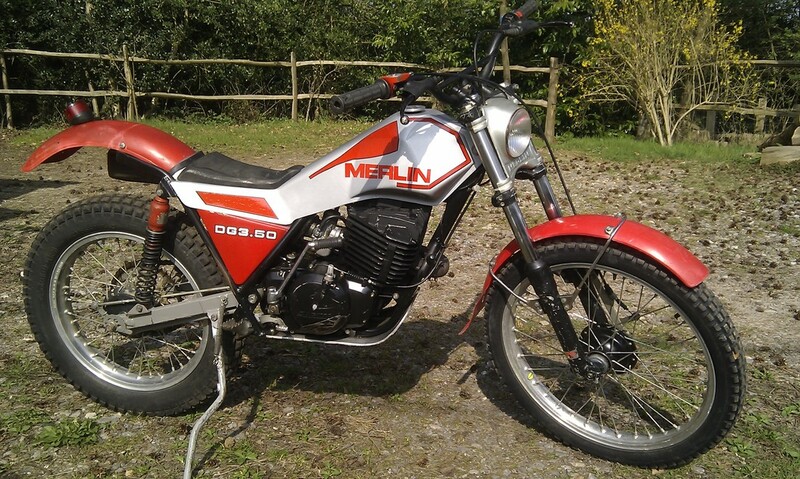 This was the Montesa dealer in the area at the time and this was my starter bike. I shared my time up there with a couple of friends but there are plenty of people in the area who ride trials. For so long a time, everything was good fun and really easy up in that area. It was easy to ride and have fun. So were you still studying at this time ? ​Oh yes yes. I was studying here in Barcelona and then riding trials up in the Torello area when I was up there. Over time my level of trials skills developed and I would spend more and more time up there riding trials in the area. It was impossible to ride in Barcelona. Through friends, I developed a connection with Paxau. This was because he had a good motorcycle shop in the area where you could hang out and he was a good person and everybody talks about him as he was the guy who used to fix the trials bikes and make them go good. So, I was riding a lot, I really needed to start and learn mechanics on motorcycles. At this time I must have been about 15 or 16 maximum, when I first got to know Paxau well. This would have been around the start of the 1980’s. At this time what sort of work was Paxau doing in his workshop? 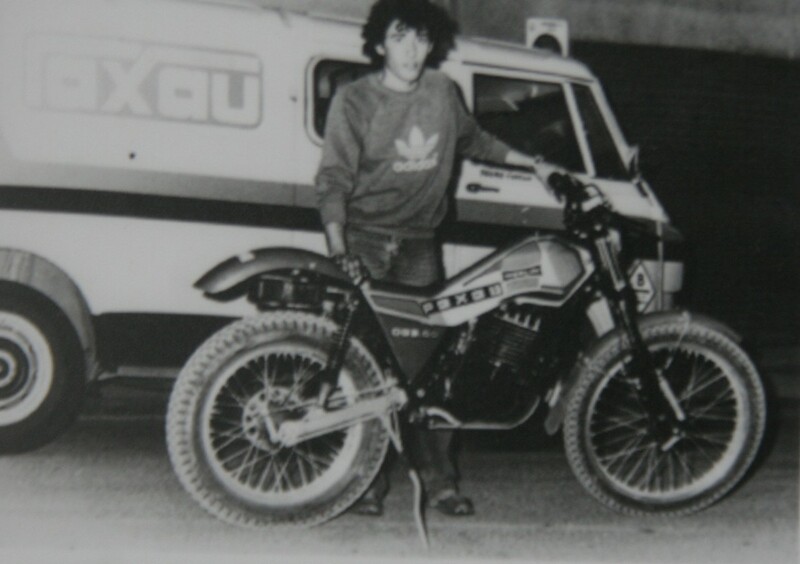 At this time, I was totally Montesa and Paxau was totally Bultaco. It was a general motorcycle workshop. Our relationship started with him trying to sell me a bike. 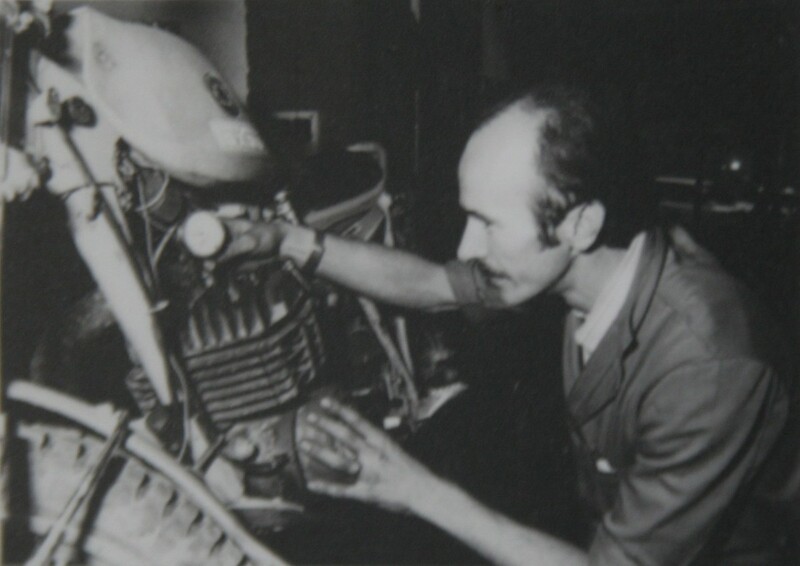 He also helped me, back at this time, in the early days, with my 123cc Cota, when I blew the engine. 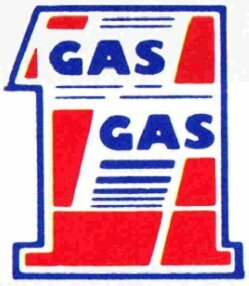 I ended up buying a number of bikes up there from him and ended up in the early 80’s riding a Merlin from Paxau. For me it was a good call to ride this first Merlin. It was a good machine and light at this time. The 1983 Merlin DG350 designed by Ignacio Bulto and his cousin Manuel Marques. Every hour of Paxau’s time was spent just fixing regular bikes and doing small little special parts, it was very much just a regular shop. I do remember that Paxau was experimenting with induction reeds for the Bultaco Sherpa and I can tell you a Bultaco with reeds is a completely different bike from standard. There is more power and it is more progressive, it is so much better. So, you were on track to follow an academic career because you're down here studying in Barcelona, but at the same time you were up there riding the bikes at every available opportunity. Is that right ? So how did you get more involved with the workshop ? The point arrived that I was training so often up in the area, that I was training more than anybody else. As a result I was stripping down the bike to make repairs, crashing it as well as general wear and tear. This all becomes very expensive and I remember at one point and my father said to me, “Hey Albert, we need to talk about motorcycles”. He said that I need to stop riding because we cannot keep paying this amount for much longer. You are always needing repairs to your motorcycles”. I was very upset at this and I pointed out the possibility of no more bike riding happening to Paxau. At this time I wondered what the future has in store for me. When I told him about this problem he said to me well why don't you do some work up here and we can see what we can do. So I would help him out up at the workshop and in return he would give me a Merlin at a really cool price and he also gave me a deal where the prices I was getting for my bike to be repaired were also very low. All of this was in return really, for not much work up at the workshop. For me this encourage me quite a bit and I said hey let's go and I started riding full blast again. I was always riding or I was working with Paxau. So this is how it started in the early days. 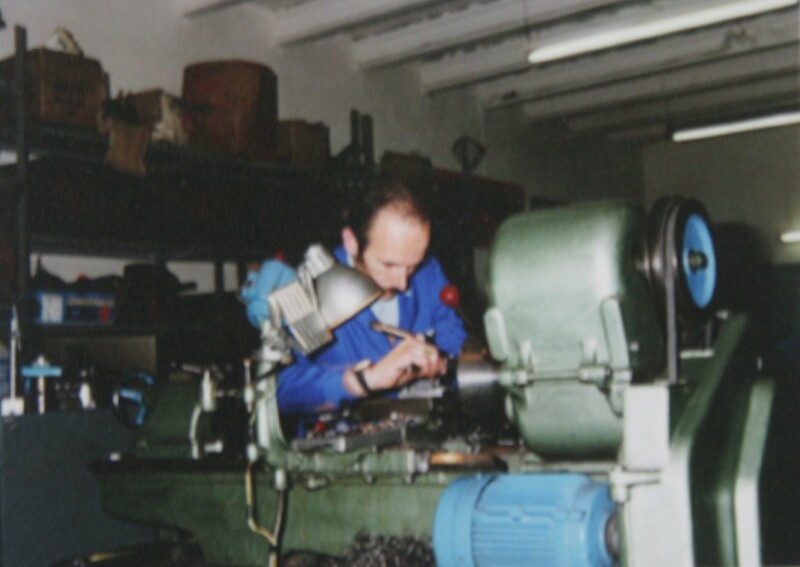 It is when I got this agreement..
Josep Paxau working on the lathe at his Torello workshops.